Our vintage screen printed transfers are as smooth as the customers that press them. Screen printed to have the look of days long gone. The vintage print has a “barely there” feeling with a printable adhesive backing to ensure it is “always there.” Add a vintage feel to your life! Do you have a .jpg or image file that is above 300 dpi? Click here and for $10 we will vectorize your artwork. Disclaimer: Our minimum order is 24. If you order less than 24 your order will be cancelled. Please note any color with * is recommended to have a white underbase if printing on a colored garment. Step 1: Select your transfer size. Step 2: Select the number of colors in your design. Our Pantone Chart will pop up where you select the colors. (Please note any color with * is recommended to have a white underbase if printing on a colored garment.) Once you have selected your colors at the bottom of the Pantone Chart click "Select". Step 3: Please read our Disclaimer and if you agree, click on the radio button. Step 5: Enter your quantity and add to cart. Once you have completed your order you can check out or continue shopping. In the Cart please upload the proof for your artwork. A proof is a picture image of your artwork. Accepted files are .jpg,, .bmp., .pdf., .png. This is not required but will allow us to preview your artwork to make sure it has downloaded correctly. We highly encourage proofs on .svg and .eps files. The artwork you submit represents our compay as well as yours. 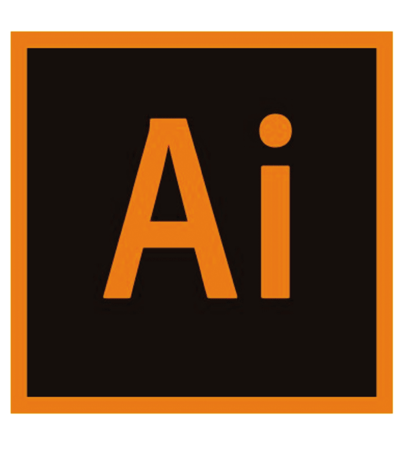 Here are some artwork guidelines to consider when you have your art team create your logos.The two major vector artwork graphic programs are Coreldraw and Adobe Illustrator. If your file ends with jpeg, bmp, gif, png, or psd this is not a vector file. Please click the request artwork button on our home page for a free quote to vectorize your graphic. You can also use our design lab feature to create your own artwork. If you are using a program other than Corel or Adobe please email the graphic to admin@semoimprints.com. Some pdf & svg files can resize or become distorted when we open in Coreldraw or Adobe. We need to check your file before you submit an order. When you upload your artwork make sure it is correctly sized. We do not resize your artwork. If your customer requests a logo that is 8x10 please have your graphic artist save the graphic as 8x10. We will never resize your artwork without your instruction to do so. Try to use bold fonts whenever possible. Transfer ink will spread a bit when pressed. If you use small fonts the letters will no longer be legible when pressed. If you are using a block style font we suggest using a size 12pt or larger. If you are using a serif or office font we suggest using a size 20pt or larger. All open areas and lines should be the same as a 2pt line. Thin lines do not wash out well with the screen mesh sizes we use. Below is a guideline for thickness. We will not guarantee any prints that have tiny lines. We do our best, but if you use a line under 2pt we will not guarantee your prints. Fonts also have to converted to line artwork. If you are using a font we do not have it will not display properly when we open your file. 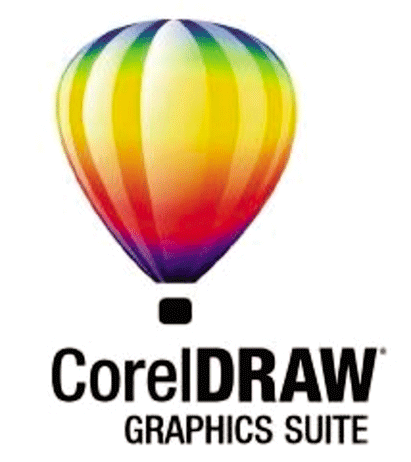 To convert fonts in CorelDraw please select all fonts. Go to "Arrange" and click "Convert to Curves" To convert fonts in Adobe please select all fonts. go to "Type" and click "Create to Outlines" The above steps will turn your ttf font into a line graphic that we can open without any font errors. When using white in your design make sure to use a back ground color. Our screen printers need to be able to see where white is going to print on your transfers. We prefer that all colors are in Pantone Spot colors. We can convert RGB & CMYK colors in house. 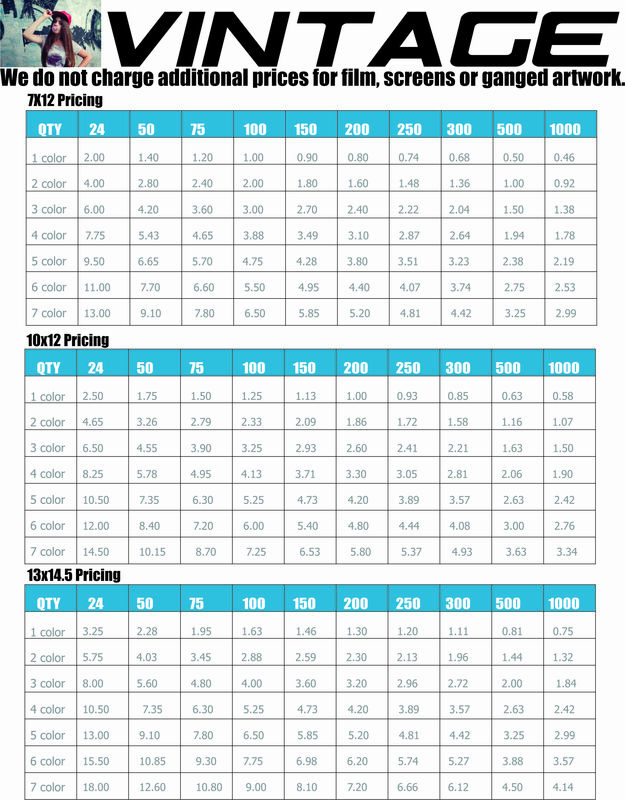 However if you have more than 35 RGB or CMYK colors within your file this will require an additional artwork fee to convert to Pantone Spot colors. We do have highly qualified graphic artists on staff. Artwork can be created for you at a rate of $30.00 per hour. Go to our homepage and click the Request Artwork Quote to get started. Once we receive your payment for artwork services we will email you back artwork within two business days. 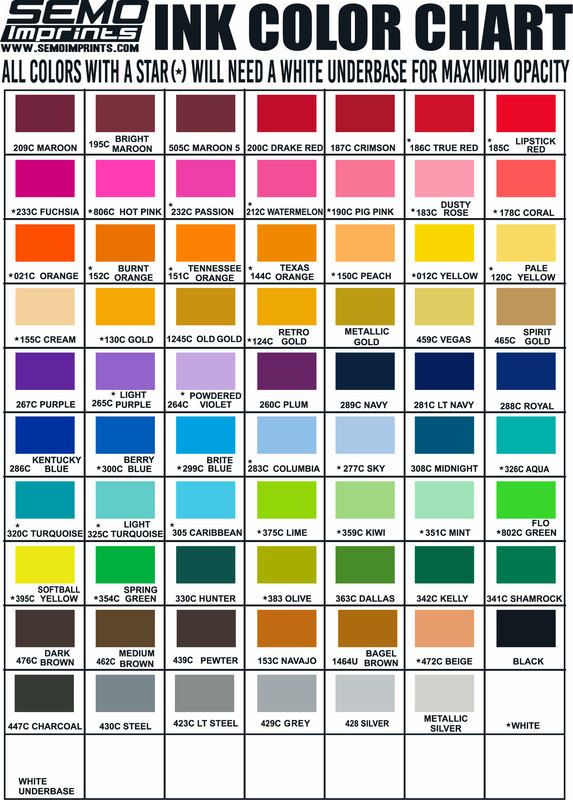 COLORS: Please note any color with * is recommended to have a white underbase if printing on a colored garment.